Welcome to the Sunday Salon! There were a few new awards and new reviews last week. Book Dilettante was listed by Courtreporter.net as one of the 50 Best Blogs for Crime and Mystery Book Lovers. How neat is that? Hope you will check out the 111 posts under the label, Mystery on my home page. Done last week: I also befriended several crime fiction authors on facebook. One had over 5,000 facebook friends, so I joined his discussion group instead! I posted links to writing tips, for all you aspiring writers, Ten Rules for Writing Fiction. My post for Far from the Land: An Irish Memoir got the most comments of any I've done. Hooray! I also wrote up a few awards from new friends, one from Brazil! Orhan Pamuk's The Museum of Innocence is a new find. This is his first novel after winning the Nobel Prize for Literature in 2006. I'm on page 148 of 531 pages and am enjoying every word, literally. The translation from the Turkish by Maureen Freely is easy to read, flows smoothly, and the love story itself is very engrossing. Is it a story of love or obsession? We'll see.... as I head on down through the rest of the pages. Michele Paiva, whose book, Truth, Next Exit I just reviewed, sent me a nice note: "Thank you so much! It's not a lengthy book but it was something I felt from the heart...and if it even helps one person overcome an obstacle, then I've done my job with it." Her suggestions for personal change certainly made me look at many things in a new way. I hope to join The Graphic Novels Challenge 2010. The rules are simple: read one graphic novel featuring an animal character. Having never read a graphic novel all the way through, I think this would be a good challenge to try. 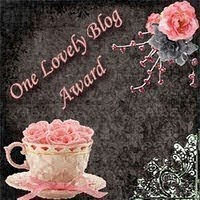 Carrie at Books and Movies, has given me a One Lovely Blog Award. Thank you, Carrie. 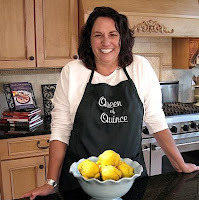 Today is the last day to enter my Simply Quince cookbook giveaway (U.S.) Two copies are available. If you want to try using the fruit quince in cooking and making jams, preserves, and desserts, do enter the contest. UPDATE: Winners chosen: Esme and kalynnick! Have a good week, everyone! Let us know what you did this past week! Michele Paiva describes her book as a way to make personal changes using the Socratic method of asking questions; she also uses readings from Scripture to suggest improvements for your life, health, habits of mind, and outlook. The book asks thoughtful and challenging questions, encouraging readers to provide their own answers. My comments: Truth, Next Exit is written as a guide book and workbook with exercises for readers to record their thoughts and answers. I found the book helpful and relevant to everyday living. The questions and comments on changing habits certainly put me in a reflective and thoughtful mood. Author: Michele is a syndicated writer, author, broadcast professional, with a background in yoga and wellness therapy, and a strong "sense of spirituality." Learn more at her website, Michele Paiva. She can be reached at mmpaiva@mac.com and on twitter and facebook. author of Breathing Water and other fiction. Ten Rules for Writing Fiction: writing suggestions by well known authors, in The Guardian. Just a few of the online resources available on starting and finishing a book! 22. Book Dilettante (aka Book Bird Dog): This blog is a great place to visit if you love reading mystery novels and are curious about novelists working outside of the U.S.
13.Mystery Reader Discussion: This blog provides a format to talk about the latest mystery books, even if you can’t meet the group in person. 14.Mystery Books News: Check back with this blog regularly to get updates on new releases in the mystery and suspense genre. 15.Mystery*File: Here you’ll find a blog dedicated to fans of mystery and detective novels, with reviews, updates and information about titles both new and old. 16.Mysteries in Paradise: This blog is a great source of mystery novel news and book reviews. 17.I Love a Good Mystery: With book reviews, news, events, links and information about movies, this site is a great one-stop place to find information about everything mystery related. 18.Murder By the Book Mystery Book Blog: The bookstore by the same name maintains this blog and updates it regularly with what the bloggers have been reading. 19.The Little Blog of Murder: Get a perspective on the murder-mystery genre from an Ohio native on this regularly-updated blog. 20.Confessions of a Mystery Novelist: Go straight to the source for information and insights into mystery books with this blog from a mystery novelist and professor. 21.Lesa’s Book Critiques: This librarian and blogger focuses her reviews of books on mystery novels. 22.Book Dilettante (aka Book Bird Dog): This blog is a great place to visit if you love reading mystery novels and are curious about novelists working outside of the U.S.
23.Shadow of the Raven: Keep up with mystery book news from the bookstore Mystery on Main through this blog. 24.The Scene of the Crime: Here you can get a look at the relationship between mystery stories and where they take place from author J. Sydney Jones. Breathing Water: A Bangkok Thriller by Timothy Hallinan, set in Thailand. What's next on my crime fiction reading list? The Brick Layer by Noah Boyd; The Godfather of Kathmandu by John Burdett, and The Girl Who Kicked the Hornet's Nest by Stieg Larsson. Head on over to Court Reporter.net to see the blogs they recommend for lots of info on what Crime and Mystery books and authors are available. The blogs were organized into Crime Books, Mystery Books, By the Author, Group Blogs, True Crime Blogs, and Crime and More categories. My comments: This is the story of Thomas Rice, the only son of Maggie and Arty Rice, a boy who grew up in a farmhouse in Ballinvalley in rural Ireland, a boy afraid of the dark and the banshees of Celtic folklore, keening "women of the fairies" which his older sisters used to tease him about. Thomas leaves school at age 13 to help with the farm, in the absence of his charismatic but troubled father who left the family and who only showed up every now and then, with disastrous results. Thomas becomes successful at farming in Ballinvalley, working with a neighbor Davy, who teaches him about horses and the land, but as a young teen he still longs for something different. At age 16 he and Maggie leave Ballinvalley for Sheffield, but he finds the taunting on the job and hardship in England too much to bear. They finally sail on the Queen Mary for America and arrive in New York on July 4, 1959. Recommendations: I found out a lot about the history of Ireland in this excellent and well-written memoir of coming-of-age in 1940s and 1950s Ireland. The memoir incorporates the history of life under the British, the fight for Irish independence in the 1920s and the hardship of life when Thomas Rice was growing up in the 1940s-50s. It also tells about daily life on a farm in rural Ireland and the community and closeness of the people. Author: Thomas J. Rice received a scholarship to Cornell University, earned his doctoral degree, and is a college professor, leadership consultant, and social activist. He lives in Andover, Mass. Far from the Land: An Irish Memoir was published in 2009. Source: Free review book provided by Jane Wesman Public Relations, Inc.
What fun to have this Commemorative Trophy from Raquel Crusoe, who is celebrating her blog's first anniversary and reaching 1,000 friends. Raquel is a classical pianist and music professor from Minas Gerais, Brazil. Eu não poderia deixar passar em branco esse momento em que alcançamos a marca dos 1 000 amigos e leitores. Agradeço a Deus, nosso maior e melhor Amigo, por termos encontrado um ao outro. Obrigada pela presença de vocês em nossa vida e nesta jornada em prol da Arte e Cultura. Por esta razão, para estarmos cada vez mais juntos, ofereço este Troféu Comemorativo para registrarmos este momento ímpar. I used Google Translator to translate from Portuguese to English. Raquel thanks her followers for celebrating art and culture and for being friends on her blog. Please check out her bio, music videos, and lots of artist performances and info on Raquel Crusoe - Arte e Cultura. Please check out these great blogs! 1) Two reviews - Water for Elephants by Sara Gruen (excellent audio book), and The Risk of Infidelity Index, a detective crime novel by Christopher G. Moore, set in Bangkok. 5) Posted a book giveaway for the wine memoir, Corked. 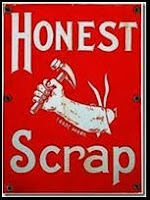 6) Accepted two awards and passed them on: The Honest Scrap Award and the One Lovely Blog Award. Am also getting more creative with food - Greek zuchini fritters with feta cheese; omlettes with cheese, parsley, onions, and watercress; fresh coconuts for the juice and soft meat. Anything to get in the required servings of three veggies and three servings of fruit each day - healthy eating tips I got from Denise's Daily Dozen. It's becoming quite an adventure. Forgot to mention I received the audio book I won, The Swan Thieves, and am setting aside some quiet time to listen to the 17 discs. Maybe I'll keep it for mid-March. One more thing, we are enjoying the skiing, skating, bobsledding, and curling, yes curling! competitions in Vancouver. I think I'd like to try my hand at curling, though I'm sure it's not as easy as it looks. PattiKen and the Muses has passed on this interesting award! PattiKen is a new blogging and writing friend. Please check out her blog! To accept the award, I have to give seven bits of information about myself and tag others. I haven't been passing on awards for a while though I always acknowledge them in the sidebar. The arm with the hammer means to me that we writers and bloggers work hard to pound out our words and posts, scrap or otherwise :)and deserve a gentle pat on the back every now and then. Thanks, PattiKen! 1. I live in a flat agricultural state in the Midwest USA though I grew up not far from mountains and the ocean. I miss both, expecially in the dead of winter! 3. "Sunshine always makes me smile" (song). 4. I often add molasses, chocolate, and cinnamon to my coffee. 5. I often take home more library books than I can read before the due dates. 6. I'll only read ebooks if I want to really rush through a book. I can scan an ebook faster than a regular book - don't know why. Just a few of the many great blog sites...Please visit them! 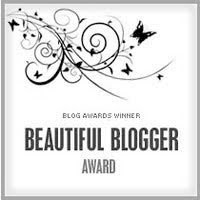 I'd also like to thank Elena from All Booked Up for the One Lovely Blog Award! Please visit her wonderful book blog! The bloggers tagged above are tagged for this award as well! Have a great weekend, and keep on blogging! P.I. Calvino makes a surveillance video of an outfit manufacturing fake drugs in Bangkok, but the lawyer who hired him for the job dies from an apparent heart attack before paying Calvino for the video. To find out more about his dead client, Calvino takes a job from three mem farangs, foreign women, whose husbands may know more about his client. The women hire Calvino to spy on their husbands for any signs of cheating. Bangkok has a high infidelity risk factor, according to a book the women have been reading, The Risk of Infidelity Index. Calvino wheedles information from the women about their husbands who knew his dead client, finds out who's behind the fake drug making scam, and finally gets paid for his work, all while risking his life many times over and barely escaping intact. My favorite secondary characters in the novel are Colonel Pratt, a local police officer who helps keep Calvino alive, and Calvino's office assistant, Rachana. Both are staples in the suspenseful detective series. Publisher's description: " Vincent Calvino, disbarred American lawyer turned Bangkok PI, comes to North America at long last with a gripping novel set in a superbly textured, masterfully rendered Bangkok." The ninth novel in the PI series, it's the first printed in the U.S.,Atlantic Monthly Press, 2007. Recommendation: For those who like detective crime fiction in international settings. I rated this four out of five stars. I also gave 4 stars to the 11th Calvino book, Paying Back Jack. 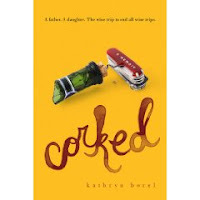 Corked: A Memoir by Kathryn Borel to give away. Travel with the author and her outrageous father through the wine vineyards of southern France. "Corked is a fevered road trip that takes us deep into the heat of family mystery, emotional thirst, and, in luscious counterpoint, the vineyards of southern France. Kathryn Borel is a caustically witty companion, who writes with unsentimental, unsparing insight bout the distant, inscrutable father traveling beside her." - Leanne Shapton, author of Was She Pretty? "A funny, quirky, bitersweet memoir full of wry wisdom on the subjects of wine, grief, memory, France, and family." - Jay McInerney, author of A Hedonist in the Cellar. To enter the giveaway for this hardcover book, published 2009 by the Hachette Book Group: 1) leave a comment telling me briefly about a favorite wine, and leave your email address. 2) For an extra point, become a follower or let me know if you already follow. U.S. addresses only, and no P.O. boxes, please. The giveaway contest runs through March 4; the winner will be notified by email and must reply by March 6. A new winner will be chosen after then. Please enter, and good luck! UPDATE: The winner chosen by Randomizer is Rose City Reader. Congrats! Ada looked quizzically at the woman behind the table. She had expected an old woman holding a crystal ball, but this fortune teller was no more than 40 years old. "Show me your left hand," the woman whispered. "I don't want to be told I'll meet a tall, dark, handsome man," Ada volunteered wryly. The woman studied Ada's palm in the half light of the tent. "You will have a long life," she said. Ada smiled. "You will have two husbands," she added. Ada withdrew her hand, surprised. "Will either of them be tall, dark and handsome?" she asked breathlessly. See other entries here. New word prompts given every Saturday. 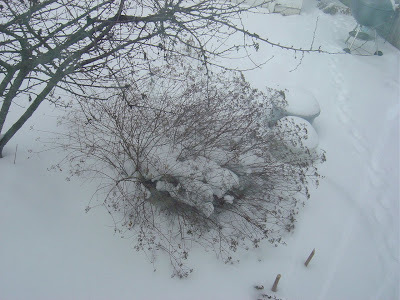 My backyard has a bluish-grey look from the overcast sky. Welcome, Kristin, and thanks for visiting! Before I wrote fiction, I wrote poetry. As an undergraduate at Indiana University in Bloomington, Indiana, I wrote and published “Crumbling Steeples,” a poem about how the crash of Pittsburgh’s steel industry affected its steel communities (and more specifically, my grandfather). After I wrote it, I thought I was done writing about Pittsburgh and steel. Obviously I was wrong; the poem was just the beginning. Q: When did you write the book, and how much research went into it? Kristin: I wrote the first full draft of Thirsty during graduate school at Columbia College Chicago in the 1990s, and although I am definitely not a historian or a steel-making specialist, it was very important that I get the details right (fingers crossed). I did a heck of a lot of research at the Harold Washington Library Center on State Street in downtown Chicago. Q: Which writers have influenced you the most? Q: Are you planning another book or any other work? a. a memoir about falling in love with an Irishman, marrying him (um, rather quickly), moving to China, and becoming a mom. Q: Can you tell us about your work in Shanghai? Kristin: You know, living in China is this wonderful, kooky, frustrating, thrilling, eye-opening experience. When I moved here in 2006, I didn’t know much about Chinese culture and I didn’t speak a word of Mandarin. For a lot of people, that kind of change is overwhelming. For me, it was inspiring. I love being nudged (pushed/shoved) out of my comfort zone, plunked down into a culture about which I know little or nothing, and forced to reexamine who I am and how I define myself in the world. The good news after almost four years in China? I’ve got enough material to write about for a lifetime. Q: Is there anything else you would like readers to know? Kristin: I love to hear about writers’ quirks. My own? As a writer, I’m obsessed with the rhythm and sound of every single word in every single sentence I put on a page. I read everything out loud (including this guest blog post)…over and over again; if I hear a clunker word, I replace it, and then I read the entire piece out loud again. Of course, if you’re thinking I only do this in the privacy of my own office, you’re dead wrong. I read my work out loud in coffee shops, book stores, airports…pretty much any place they’ll allow me to plop down with my computer and work. Thanks for sharing your experiences and writing tips with us, Kristin. Good luck with your memoir and your next novel! Kristin Bair O’Keeffe’s debut novel Thirsty (Swallow Press, 2009) tells the story of one woman’s unusual journey through an abusive marriage, set against the backdrop of a Pittsburgh steel community at the turn of the twentieth century. Her work has been published in the Pittsburgh Post-Gazette, Poets & Writers Magazine, San Diego Family Magazine, The Baltimore Review, The Gettysburg Review, and many other publications. She has an MFA in Creative Writing from Columbia College Chicago and has been teaching writing for almost fifteen years. Kristin lives in Shanghai, China, with her husband and daughter. If you’d like to learn more, visit http://www.thirstythenovel.com/ and her blog “My Beautiful, Far-Flung Life” at http://www.kristinbairokeeffeblog.com/.You can also follow her on Twitter: www.twitter.com/kbairokeeffe and friend her on Facebook at www.facebook.com/Kristin.Bair.OKeeffe. Water for Elephants is the story of a young man who runs off to join the circus during the Great Depression, leaving his troubles behind plus an unfinished veterinary degree from an Ivy League university. His vet training lands him a permanent job with the Benzini Brothers Most Spectacular Show on Earth, but life in the circus is not all the fun it seems. There is animal cruelty, unscrupulous practices by the owner and manager of the circus, and unexplained disappearances of unneeded circus workers every so often. Jacob falls in love with an equestrian performer, Marlena, who is married to August, a circus boss. When August repeatedly beats the new elephant bull, Rosie. for not performing, Jacob and Marlena band together to protect the elephant and each other from the unscrupulous practices of August and the circus owner, Al. Comments: I listened to the book on audio, expertly and entertainingly read by David Ledoux and John Randolph Jones, who were the voices of Jacob at age 90 and Jacob in his early 20s, remembering and telling the story. Jacob at age 90 is delightful, telling us with humor his unhappiness with being confined to the nursing home where his family has placed him. Jacob at age 20 plus recounts his three and a half months with the Benzini Brothers Circus, his work with the animals, his love for Marlena, and how they survive the brutality of their bosses and environment. I don't know if reading the book would have been as enjoyable as listening to the audio. I might have skipped over Jacob's complaints about his nursing home food and the other residents and missed a lot. Listening to the book being read was not at all boring but made Jacob endearing and made what he does at the end of his story entirely plausible. Definitely a 5 star novel. Welcome to the Sunday Salon! Two reasons to celebrate today: Valentine's Day and the start of the Lunar New Year of the Whie Tiger. I had planned to have eye surgery last Thursday and borrowed about 4 audio books to listen to while recovering. Change of plans! My eye doc had to be sent to the hospital and will be fine, but postponed my surgery for a month! Nevertheless, I started the audio book, Mrs Pollifax and the Lion Killer, am almost through with Water for Elephants by Sara Gruen, which I highly recommend as a very interesting and entertaining story of life in the circus during the Depression era, told by two men representing the main character as a 90 year old man and as a young man. The other audio books I got are R is for Richochet by Sue Grafton, and A Fine Place for Death, a mystery by British writer, Ann Granger. 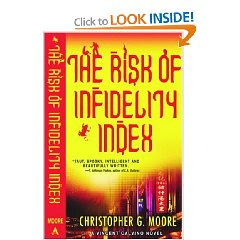 I also went to the library and picked up another book by Christopher G. Moore, The Risk of Infidelity Index. Moore writes detective fiction set in Bangkok. I'm enjoying this one too. 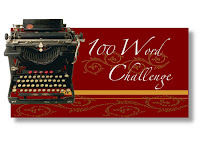 Also had fun doing a 100-Word Writing Challenge hosted by Verbal Verbosity, which happens every week. Can't believe I also squeezed in 3 reviews and an almost-review- one crime fiction, two general fiction, and one non-fiction: Paying Back Jack by Christopher G. Moore; Thirsty: A Novel by Kristin Bair O'Keefe, I Ching: A New Interpretation for Modern Times, and The Pig and I by Rachel Toor. Overall, I did more on the blog that I had planned! How about you? I've always wondered what it would be like to have a pot- bellied pig for a pet. I've read they are as smart as a 3-year-old! My Must Reads is a book I found online and decided was too entertaining to pass up. Funny, heartfelt, and irreverent, The Pig and I follows the hilly course of author Rachel Toor's romantic life as she falls in love with a series of pets and in and out of love with an equally eclectic string of men, many of whom bear a striking resemblance to the animals, both in looks and temperament. From Prudence, a sweet white lab mouse who hates Rachel’s sweet, mousy actor-boyfriend Charlie, to Emma the pig, a fifty-pound force of nature that Rachel coparents with her ex-boyfriend Jonathan, we accompany Rachel as she learns how to bring into her human relationships the same kind of acceptance she so easily extends to her pets. Anyone who knows the comfort of coming home after a disastrous date or day at the office to a wagging tail or a ready purr will find The Pig and I irresistible. The Pig and I: Why It's So Easy to Love an Animal and So Hard to Live with a Man. You can click on the title to sneak a peek through Amazon's "click to look inside" feature. What Must Reads have you found recently? Must Reads details a book that you can't resist, one you definitelly have to read. I'm not superstitious, but using the I Ching as a form of divination or fortune telling can be just plain fun. It's general enough so that you can interpret the results in different ways. And it's often uncannily accurate! In the I Ching, there are 64 hexagrams made of six lines each. Each hexagram represents a human situation, and all 64 together are said to "encompass the whole of human experience." You ask a question of the I Ching and throw coins to determine which hexagram will answer your question. From Goodreads: What is the I Ching? For centuries the Chinese have consulted the I Ching both as an oracle and as a means of self-understanding. The moral and psychological depth of its wisdom has been celebrated by its scholars, psychologists, poets, and scientists. In this clear, immensely readable interpretation, Sam Reifler eliminates the obscure and dated references of previous translations to provide an accurate and accessible version of the ancient Chinese classic for the contemporary seeker. With easy-to-follow instructions for using both the yarrow stick and the coin toss method, this new interpretation of the I Ching reveals the hidden forces at work in our relationships, our careers, and our emotional lives - and suggests new directions and choices for the future. For everyone who seeks to better understand themselves and the world around them, this new translation of the I Ching is... "practical and remarkably effective...."
My personal experience using the I Ching: This week I was expecting to have eye surgery in a few days and wanted to see what the I Ching would say about my situation, which I was a little nervous about. I pulled out my copy of the book, threw three coins six times and formed the hexagram 5 - Zhuy, translated as "Waiting." You may cross the great water. So everything was going to be okay - auspicious. Three rescuers arrive at the cave. Auspicious if you treat your rescuers well. Here's what line 6 of the new Hexagram 9 changed to -Zhiao-Khuh or "Minor Restraint". The next day I got a call saying my eye surgery was postponed as my eye doc was in the hospital. Not too serious, but a minor restraint. What could I do but gloat about my rescue/respite, and hope my doc would be okay. Did the I Ching foretell this change of events? They say not to use the oracle as a parlor game even though some people do, or used to. It could get confusing, especially if you ask more serious questions than mine. Well, that Q & A was a bit of fun! A gutsy book by a gutsy writer. Summary: Klara Bozic raises three children and, though she fled domestic violence from her father in her native Croatia in 1883, lives daily with physical violence from her husband Drago in her new home in the steel mill town of Thirsty, just outside of Pittsburgh. Klara's daughter grows up and also marries an abusive man, continuing the cycle of violence in the family. She is haunted by dreams in which she takes revenge. What Klara endures and how she pulls herself and her daughter out of the cycle to find some measure of peace and stability is the theme of the novel. Well written, fluid prose, well developed characters. Thirsty shows the effects of domestic abuse on individuals and the family, as well as gives a view of the hardship of life for families dependent on the Pennsylvania steel mill industry in the late 19th and early 20th centuries. I give a lot of credit to the author for addressing the topics in her well written novel, making more people aware of domestic violence and the cycle it creates. Author Kristin Bair O'Keeffe wrote a complete draft of this book as her thesis for her MFA in Creative Writing at Columbia College Chicago. Her book is based on her own experiences and observations of life in a working class community in a steel mill town. Watch for an interview with the author which will be posted this month. 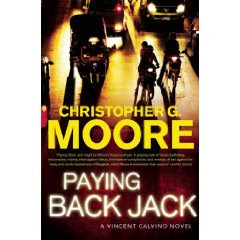 Paying Back Jack is 11th in the detective series featuring PI Vincent Calvino. It has a complex plot about paying back old scores, in Bangkok, a city which seems like one of the most interesting but challenging places in Southeast Asia. The novel has so many plot components that it's sometimes hard to keep track of and link all the people and their activities. There are personal scores to settle involving people who had worked in many different places - Southeast Asia, in Iraq, and in the Middle East war zones. The intrigue starts when Calvino is hired by Casey to find the man responsible for his son's death. The case is more complex than it seems. Calvino becomes embroiled in more than he bargained for. This is more than just a detective novel set in an exotic location. Moore's writing shows flashes of creative brilliance as well as insight into the local culture. "A vapor trail of superstition hung above the table, streaking the conversations with sentiments from an old, traditional culture. For a moment, she almost felt at home." After finishing this book, I thought Moore could easily use his talents to write literary fiction. I then discovered, thanks to a comment by blogger Mark David, that Moore has written 20 books, including short stories and nonfiction books on Thai culture and customs. In this Amazon link, Christopher G. Moore, there is a list of titles in his Vincent Calvino PI series. Moore, a Canadian, has lived in Bangkok since 1988 and has a background in law. Paying Back Jack , hard cover, 339 pages, was printed by Grove Press in 2009. Overview: When nine people are temporarily trapped and confined in a building after an earthquake in a U.S. city, they get to know each other in a way they might not have under normal circumstances. The nine are in an Indian visa and passport office in the building. Of different backgrounds and nationalities, they slowly learn about each other's lives. Late afternoon sun sneaks through the windows of a passport and visa office in an unnamed American city. Most customers and even most office workers have come and gone, but nine people remain. A punky teenager with an unexpected gift. An upper-class Caucasian couple whose relationship is disintegrating. A young Muslim-American man struggling with the fallout of 9/11. A graduate student haunted by a question about love. An African-American ex-soldier searching for redemption. A Chinese grandmother with a secret past. And two visa office workers on the verge of an adulterous affair. When an earthquake rips through the afternoon lull, trapping these nine characters together, their focus first jolts to their collective struggle to survive. There's little food. The office begins to flood. 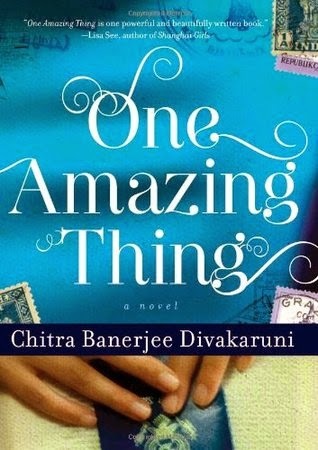 Then, at a moment when the psychological and emotional stress seems nearly too much for them to bear, the young graduate student suggests that each tell a personal tale, "one amazing thing" from their lives, which they have never told anyone before. And as their surprising stories of romance, marriage, family, political upheaval, and self-discovery unfold against the urgency of their life-or-death circumstances, the novel proves the transcendent power of stories and the meaningfulness of human expression itself. . Comments: A good way to introduce a variety of different stories in one book. People are trapped for a short time and, uncertain of the future, reveal themselves through their life stories. I found myself comparing One Amazing Thing to a book with people similarly confined in a dangerous situation - Bel Canto. I hope to try her other books, especially The Mistress of Spices, which I have heard positive things about. 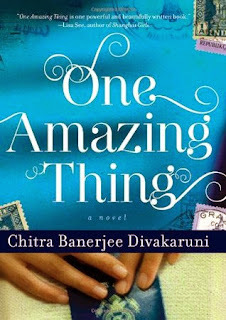 Chitra Divakaruni has also authored Sister of My Heart, and The Palace of Illusions. 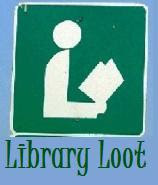 Library Loot is a weekly event co-hosted by Marg @ ReadingAdventures and Eva at A Striped Armchair. Here's what I got today at the library, to last for the next couple of weeks: lots of audio CDs. 1. Only one hardcover book, Whisper To the Blood, a Kate Shugak Novel by Dana Stabenow, the 16th in the mystery series. A mystery novel set in Alaska, featuring Kate Shugak of the Niniltna Native Association. 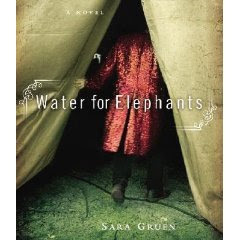 Water for Elephants by Sara Gruen, about the world of the circus and the performers there, unabridged, 10 discs. Eleven and a half hours of listening! Digging to America by Anne Tyler, unabridged, 7 discs. R is for Ricochet by Sue Grafton, mystery writer, unabridged, 10 discs. Oh, I also won an audio version of The Swan Thieves. Hope it'll arrive just in time. I think I'll start right now, though, with Mrs. Pollifax, that indomitable lady and secret agent. Why wait? UPDATE: Two winners were chosen by Randomizer on March 1: Esme and Kalynnick. They have been emailed and have until March 3 to respond. Congrats, and enjoy the cookbook! Looking for a good mystery or crime fiction novel but can't decide which one to pick from the hundreds on the library or bookstore shelves? Here are some recent ones you might want to look at - 2009 books nominated for an award this year. The Mystery Writers of America gives the Edgar Awards every year to honor Edgar Allan Poe. The prize goes to the best mystery fiction and nonfiction published in the previous year. I haven't read any on the list as yet but it's a place to start in a search for some of the best crime fiction out there. Winners of the Edgar Awards will be announced April 29.